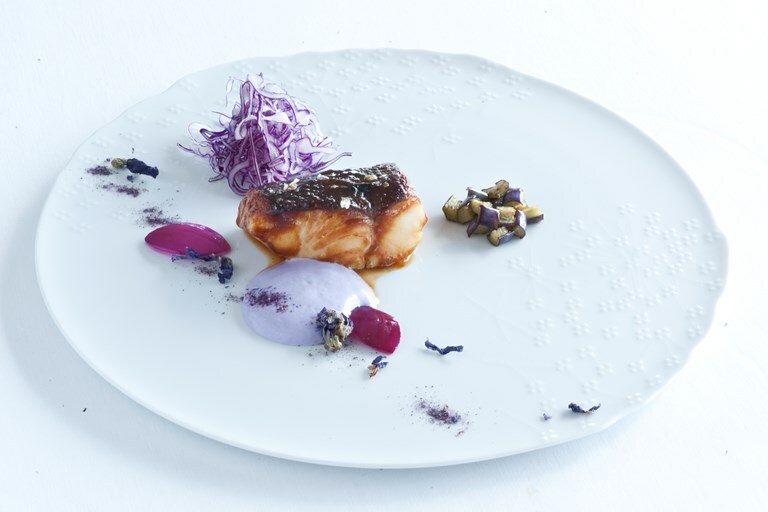 Francesco Apreda's pollock recipe is enhanced with a stunning purple palette, making it as much a work of art as it is an excellent fish dish. The fish is cooked gently in a sticky sake glaze, while purple potatoes, red onions, red cabbage and aubergine bring the radiant purple hues to the plate. For both colour and flavour the chef recommends using Kala Namak, the Indian black salt, for this recipe, but good quality rock salt will work if this can't be found.